superdumb supervillain: Twilight Tide Pettiskirt GIVEAWAY!!!! 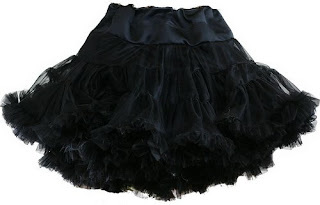 Grosgrain Pettiskirt Giveaway… it's black, it's beautiful and I think Roo needs it since her mommy can't sew worth a lick and is also too stingy to buy her a boutique-y pettiskirt. I want one in my size, too! Oh wouldn't she look like a little witchey poo in that? Atrociously divine. Hey Naomi, I wanted to tell you I updated my Layla Grayce giveaway. I now also have a pettiskirt in size M! I love her giveaways, and I think I'd be more apt to enter if I had a little girl, especially a spunky one like Roo. you are right I would love this in my size also.. my daughter and I would be matching princesses! Roo can't have this ... I want it for Georgia. I'll trade you my free hotel at blogher!